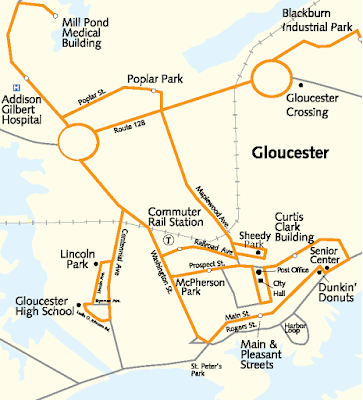 Okay, so this is the “Gloucester Crossing and Business Express Loop”. First of all, don’t call it an express, because it truly is anything but. 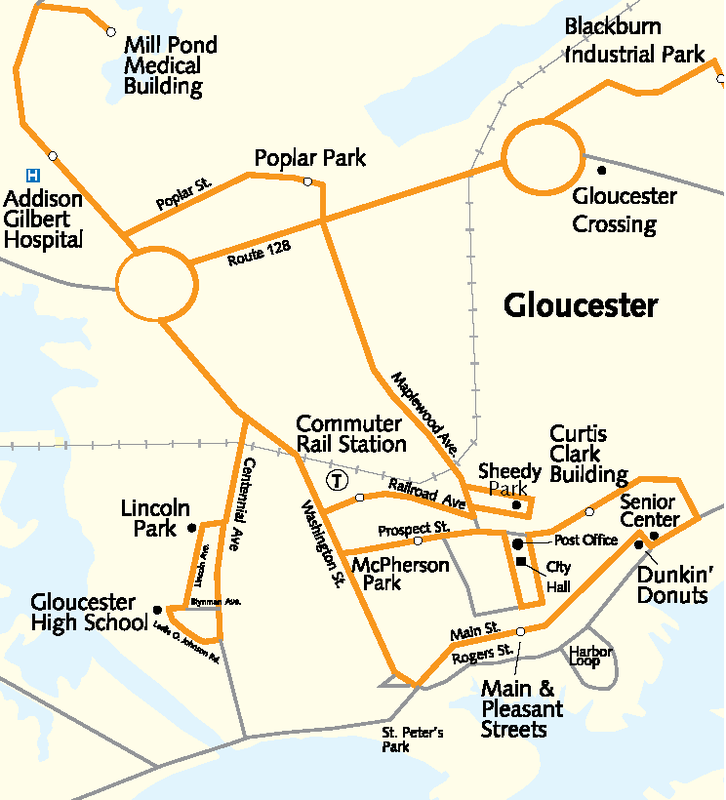 Its purpose is to provide a local service to the town of Gloucester, which thus makes it the only full-year CATA route that doesn’t go into the middle of nowhere! Does this equal high ridership? Let’s find out. Okay, I didn’t realize the camera was on “sepia mode” when I took this, so, uh…welcome to old-time Gloucester? Getting on with my friend Nathan was an interesting experience. The driver (whose name we came to find out was Bill) said something like “I saw you taking that picture of the bus!” Nathan said that I write a blog about buses, which caused the driver and the two old ladies in the back to laugh. We took our seats, and for about five minutes we could hear the old ladies discussing how that was “such a cute idea.” Thanks, I think? It was actually a pretty decent minibus. The wheelchair lift was decidedly un-jiggly, and though the radio was playing, it was classic rock rather than awful rap. Stop requests were performed by pulling the cord along the side of the bus. 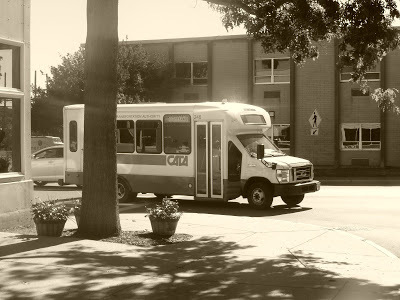 Finally, all CATA buses use CharlieCard fare machines, but they look so weird and out-of-place on a minibus! A shot of downtown Gloucester. 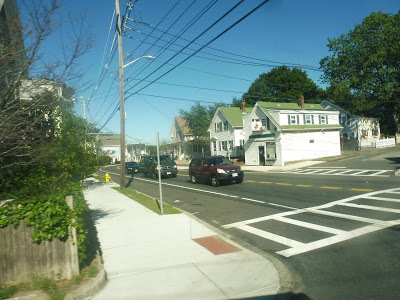 We left CATA’s super-special hub at Dunkin’ Donuts and headed down Main Street, going by the businesses of downtown Gloucester. Next, we turned onto Washington Street, meandering up a curvy, residential hill. There were a few businesses at Gloucester Station, and then after some more houses and a graveyard, we made our first deviation. Some houses as we turned off of Washington Street. 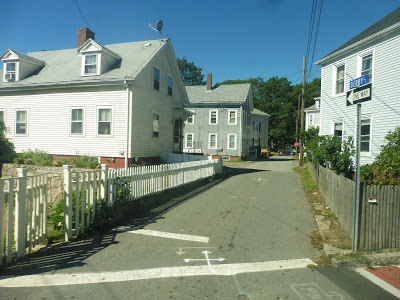 This was Centennial Street, which crossed over the Commuter Rail tracks and was lined with houses. We turned onto Emerson Ave for a block, then onto Lincoln Street, stopping near a housing development. 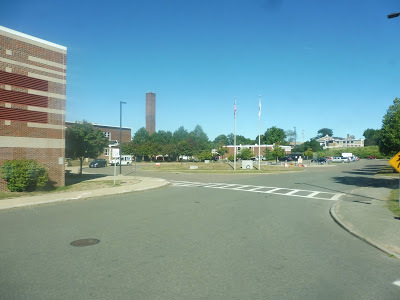 After that, we reached the Gloucester High School, where a few turns took us past a stadium and back onto Centennial Street. This took us to Washington Street again, where we continued on our way. 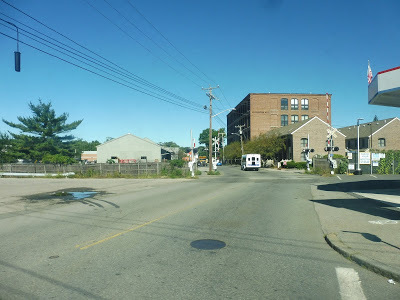 After some more houses on Washington Street, we reached a big rotary, where we merged onto Route 128. There was a bit of an express section as we zoomed down the highway until we hit another rotary – Blackburn Circle. We deviated here to go and serve the Gloucester Crossing mall, where a few people got off and we had to lay over for a bit to keep to schedule. Now that’s a publicity shot! 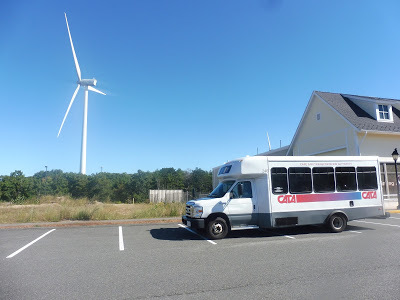 Some trips also deviate to the Blackburn Industrial Park by request, but clearly we didn’t have one, as we just headed back onto Route 128. We took this all the way back to the previous rotary, where we turned again onto Washington Street, continuing north. The street was mostly lined with houses, but we also passed a hospital. 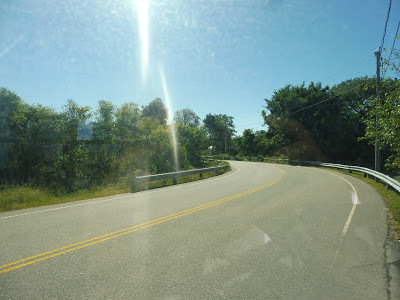 Next, we turned onto Dr. Osman Babson Road, where we looped around another small hospital. And then we went back the way we came. We headed towards the rotary, but turned onto Poplar Street at the last minute. Aside from more houses, we also passed the Gloucester Public Works and another cemetery. After serving Poplar Park, a housing development, we turned onto Maplewood Ave, going under Route 128. This narrow street was lined with dense houses, and it stayed that way until we got back near the Commuter Rail station. There were a few businesses as we crossed the Commuter Rail tracks, but before we could serve the station itself, we had to deviate once more. 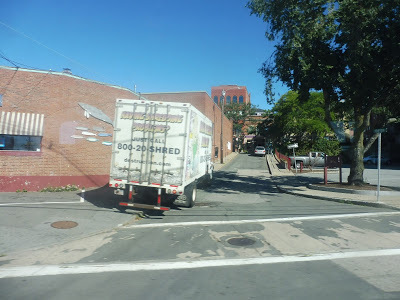 This required turning onto Smith Street, then Pleasant Street, where we reached an apartment building. 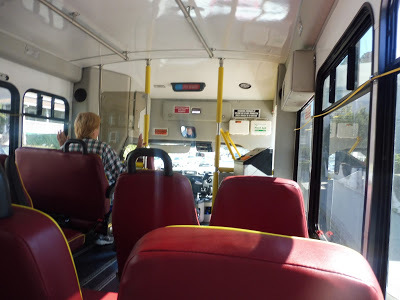 The bus actually did a loop around its tiny front drive, then we made our way back to Maplewood Ave.
We deviated to serve a Shaw’s, then merged onto Railroad Ave, coming up alongside the Commuter Rail station. After that, we turned onto Washington Street for a few blocks before turning onto Prospect Street. It was lined with rather charming houses, and we also passed a park and an apartment building. 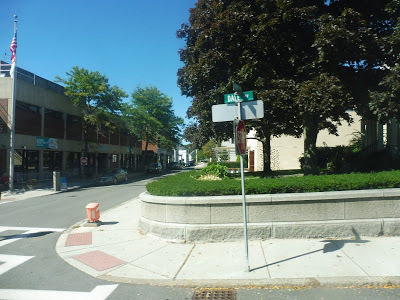 Next, we made a rather strange deviation, turning onto Dale Ave in order to serve the Post Office and City Hall. The end of Dale Ave.
We turned onto Middle Street for a block, then turned onto the residential Pleasant Street, and then back onto Prospect Street. This took us around past more houses and a small apartment building onto Rogers Street. After going by some industry, we came back to the Dunkin’ Donuts, where Nathan and I got off, having completed a whole loop. The bus on Rogers Street. Ridership: On weekdays, this is by far the busiest route on the CATA, with an average of 180 riders – about 18 people per trip! Bill, the driver, said that some days the bus can be empty (my trip got around 10 people), but other times there can literally be standees. Standees on a minibus! What?? On Saturdays, the route only gets around 50 people, about 7 per trip. Again, though, the route can get a bunch of riders on busy shopping days. Pros: Pretty simple pro here: the route actually gets people! Yes, it’s completely catered to shoppers, but I guess if that equates to ridership, I can’t complain. The true highlight of the trip, though, was Bill. He was one of the nicest bus drivers I’ve ever met, and he seemed to know every single person that got on the bus! He would always tell people to “stay out of trouble” as they got off, which was pretty funny. Cons: Just look at the route! It’s a mess! Most of the deviations get people, I guess, but it would be great if the map at least had arrows to let you know where the bus actually goes. 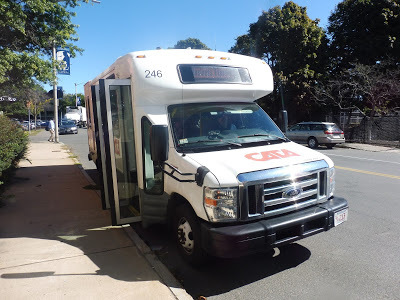 It’s also ironic that the busiest route on the CATA is forced to use minibuses – if they cut some of the really outrageous deviations (like pulling into the narrow front drive of that apartment building), they could give the route full-sized buses, which would be better. Finally, just as a nitpick, all of the trips leave Dunkin’ Donuts on the hour, but for some reason there’s a trip at 2:08 on weekdays (i.e. 1:00, 2:08. 3:00). I’m sure there’s a reason for it, but it just looks kinda ugly on the schedule. Nearby and Noteworthy: Well, if there’s anywhere you want to go in Gloucester, this bus will take you there. The real question is if you would WANT to go to any of these places. No…no, probably not. Yes, I know there are a lot of cons for this route. Yes, I know I usually hate routes with millions of deviations. But the thing is, it gets people. And for CATA, this is an incredibly frequent route! I guess it needs that “frequent” every-hour schedule, too, since so many people seem to use this thing. Perhaps the best part of the ride, though, was Bill. The way he knew everyone and talked to people was great, and it made the ride such a pleasure! That’s truly what gave this route that extra point to become a 9. Thanks to everyone from Reddit and Universal Hub who checked out the Hastings review! Also, I did go to Transit Day at the Seashore Trolley Museum yesterday, but it might take me a little while to get the post out…but look forward to that!